Book a flight with budget airline Jetstar and receive second ticket completely free! Eligible flights are from Singapore to destinations including Bangkok, Kuala Lumpur, Phuket, Bali, Hanoi, Manila, Hong Kong, and Beijing. One-way fares start from SGD48 (USD39). The “Take a Friend for Free” promotion must be booked by May 9 and is valid for travel from September – November 2012. The free ticket must be for the same flight at the same time. Fares are available during select periods only and are subject to availability. The sale applies only to “Starter Fares” and luggage for the second traveller will be additional. Jetstar is a low-cost carrier and additional charges apply for checked luggage, advance seat selection, payment by credit care, and on-board meals and beverages. 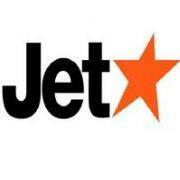 Visit http://www.jetstar.com/ for more information or to make an online booking. The pre-sale can be accessed here.